Bob Kupbens, eBay VP of Seller & Marketplace Operations, revealed the plans during a New Year's Day podcast where he and Scott Cutler, Senior Vice President of the Americas, discussed the marketplace's 2018 performance and looked ahead to 2019. "There's a big thing you'll hear more about in 2019 around trust," Kupbens said, "and basically what it means to be a partner and how do we make sure that if you're a great seller, we trust you." "Scott's going to talk a little bit about that, but whether it's an item not as described or fraudulent returns or other things, we know there's some issues there and we're going to build some seller protections in in 2019," he continued. Scott Cutler confirmed changes were on the way, though he provided no details. He said from a policy perspective, eBay would focus on seller protections in the New Year. "Recognizing that it is our sellers that power that environment and I think many of our sellers have felt as though we've swung the pendulum too far to only focus on buyers. Seller protections is another area that I anticipate us to make some great moves into 2019 that are sellers will feel and I believe recognize." Kupbens and Cutler were also full of apologies for the technical problems that plagued eBay in 2018. We report on the podcast in today's EcommerceBytes Newsflash. What changes do you think eBay will make to seller protections, and do you think they'll apply to all sellers? What changes do you think it should make to protect sellers from bad buying behavior, including fraud? 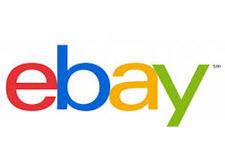 @tool guy, eBay collects sales tax for several states for ALL sellers. It's based on the buyer's home state and that state's internet sales tax law. My state has not passed a ST law yet, and I did not pay sales tax on my shipping supply order a few weeks ago. You're being paranoid (and giving out erroneous information). I think they are just blowing smoke again. Ebay's idea of protecting sellers and my idea of protecting sellers is going to be MILES apart. I have had returns that are so clear to be a Buyer's remorse return but falsely filed as SNADs. I mean so clear and Ebay will still say Nope, not clear enough. But then all of us have more than our share of horror stories with returns. I am holding out no hope that Ebay is going to do anything of any real meaning in the near future or even in later 2019. Their history just does not support them doing this. It would take such a turn in how they manage this company and I personally don't think they are up to the challenge! Just placed my quarterly shipping supply order with Bascom. Came to $73.74, and $4.34 was for sales tax. Paid sales tax 3 months ago, too. Didn't have to register a credit card because I used my $50 coupon and the rest was Ebay Bucks, so no actual money was transacted. Now I have my new shipment of grossly overpriced supplies heading my way. Then I can sell them to try to recoup some of that lost value. Could have bought the same items on the ''free market'' at less than half the price. Just part of ebay's sinister plan to get the marketplace populated with ebay marketing materials at the sellers' expense. I would applaud them for being so diabolically clever in getting the sellers to do their dirty work for them, but since it hits me directly in the wallet, I'll abstain. Greedbay is full of hot air. They won't do anything and if a miracle occurs and they do do something you can bet its going to cost the seller something. Once the buyers catch on, they will claim that the item was damaged in transit. Ebay will refer the seller to the shipping carrier for insurance. ebay has proven beyond a doubt , that you can't believe anything they say about seller protection. why would anyone believe someone stealing shipping fees , adding fees for something that they think didn't sell fast enough , on and on and on. we have been selling 15 years longer than ebay has been in business , and have never had to steal anything from our customers. ebay was once good , but not anymore. GREED destroys all. LOL: Ebay is now refunding Customer returns with one day of tracking showing received. I did not have time to open a return package and examine the contents and Ebay had already refunded the customer. Naturally the customer failed to return some of the items and if I make a stink about it, the customer will just leave me negative feedback. OKAY they are (obviously) losing buyers and sellers. DUMP CASSINI and go back to Voyager. SIMPLE. AND refuse returns when the item they show (in buyer pictures) matches the pictures from ebay. When a buyer has 5 returns in 1 month, kick them off. My guess is that they'll offer sellers' insurance......You will be able to buy insurance to cover snads and bad customer service advice. They'll market insurance for bad case resolution. In other words, ebay will sell you insurance to protect you against ebay. Didn't they do something like that in the past? I think they are testing a more compassionate approach now. I had a fraudulent return case where the buyer switched out components for ones from an older unit and claimed that the item arrived DOA. I had reasonable evidence that something was going on based upon internal serial numbers etc, but the buyer didn't offer a confession via M2M when I tried to challenge their facts (as requested by eBay support). In my case eBay refunded the buyer over $300 from their funds with no penalty to me. Under the "official" rules their liability would have been half that amount (as I offer paid returns). This was my first case of alleged return fraud in over $2m of sales. I was happy that they agreed enough with the information I provided that they would accept my version of the story and not hold me liable for the loss. I don't know if this is a change in policy that's being tested via Concierge or whether there's just more flexibility to accept facts on an individual case basis that are on balance likely to be in favor of the seller. I was pleasantly surprised by the outcome and am hopeful that the new policy may be close to my recent experience. You sent your stuff to ebay concierge? How much did they keep? Was the selling price commensurate with like items on other platforms? Now I remember where I saw it before. During prohibition, I think. An ebay sales rep came to your store and promised you protection, for a modest fee, from your shop burning down. I will hold judgement until I see exactly what eBay offers ----- and enforces. Will it be enough? For most sellers, no. For some sellers, any improvement will be seen as a positive step in the right direction. I will say that eBay has stepped up and resolved a couple of bad buyer issues to my satisfaction in the past two years. For that I am grateful. You are all exactly right, nothing will happen that is true seller protection and messing with it will in the ebay tradition probably just make it worse. I ask God in a prayer to help eBay realize how they destroyed the antiques marketplace in the USA , by allowing buyers to commit lies and scams against honest sellers. For once I'd like to see action instead of lip service. Nothing to see here folks. Many years ago there was an eBay CEO so exceedingly fond of new industry disruptions that he spent all his money on hiring employees that knew nothing about the business that company was in. He cared nothing about reviewing his fake sales numbers, going to Hollywood, or going for a ride in his airplane, except to show off his new disruption. He had a disruption for every hour of the day, and instead of saying, as one might, about any other ruler, "The CEO's in council," here they always said. "Devin Wenig is in his disruption room." In the great city where he lived, life was always gay. Every day many sellers came to town, and among them one day came two swindlers. They let it be known they were disruptors too, and they said they could create the most magnificent disruption imaginable. Not only were their rules and regulations uncommonly illegal, but the disruptions the made in their own minds had a wonderful way of stealing money from any seller who dared sell anything in the kingdom. "Those disruptions would be just the thing for me," thought the Emperor. "If I made them the rule of the land then I would be able to discover which sellers (aka anyone not a beloved or an Asian seller) in my empire are unfit to sell their items on eBay. And I could tell the wise men from the fools, those would do free shipping, free returns, sponsored ads and more! Yes, I certainly must get some of those interruptions for me right away." He paid the two swindlers (Cutler & Cupbens) a large sum of money to start work at once. They set up offices in the town of San Jose and pretended to understand ecommerce, though they knew nothing about the task at hand. All the finest stock options and the purest perks which they demanded went into their traveling bags, while they worked the empty disruptions far into the night. "I'd like to know how those distruptors are getting on with the fleecing of the sellers," the CEO thought, but he felt slightly uncomfortable when he remembered that he like those two themselves were unfit for their position would not be able to see or understand any of the disruptions themselves. It couldn't have been that he doubted himself (since he knew HE was a big shot, even though he had no background in ecommerce either), yet he thought he'd rather send someone else to see how things were going. He sent the sleeping Grifter, even though the Grifter's past of doing NOTHING. The whole selling community knew about the disruptor's fake power, and all were impatient to find out how stupid their neighbors were. A seller named Hone Evil found out the hard way. "I'll send my honest old Grifter to the disruptors," the CEO decided. "He'll be the best one to tell me how the Disruptions are coming along, for he's a sensible man and no one does his duty to me better." So the old Grifter went to the room is San Jose where the two swindlers sat working away at their empty ideas. "Heaven help me," he thought as his eyes flew wide open, "I can't see anything at all". But he did not say so. Both the swindlers begged him to be so kind as to come near to approve the excellent swindles, the beautiful theftacular ideas. They pointed to the empty ideas, and the poor old Grifter stared as hard as he dared. He couldn't see anything, because there was nothing to see. "Heaven have mercy," he thought. "Can it be that I'm a fool? I'd have never guessed it, and not a soul must know. Am I unfit to be the "Seller Advocate? It would never do to let on that I can't see the seller protections." "Oh, they are so beautiful -it's enchanting." The old Grifter peered through his spectacles. "Such devious ways to steal from sellers, what money we could have!" I'll be sure to tell the CEO how delighted I am with it." "We're pleased to hear that," the swindlers said. They proceeded to name all the ways they could steal money from sellers and to explain the details of how they could skirt US and state consumer protection laws. The old Grifter paid the closest attention, so that he could tell it all to the CEO. And so he did. The swindlers at once asked for more money, more stock, cars, planes and more that they would "need" to get on with the stealinging. But it all went into their pockets. Not a protection went to the sellers, though they worked at their disrupting as hard as ever. All the websites (like Ecommercebytes) were repeating of the splendid disruptions, and the CEO wanted to see it for himself while it was still in San Jose. Attended by a band of chosen Diamonds, Chinese Sellers, and favorite brown nosers (like Hone Evil), among whom were his some old trusted officials-the ones who had been kind to the disruptors when the CEO first came into power - he set out to see the two swindlers. He found them disrupting with might and main, but without any seller protections in their announcements. Am I a fool? Am I unfit to be the CEO? What a thing to happen to me of all people! - Oh! they are GREAT!," he said. "It has my highest approval." And he nodded approbation at the empty seller protections. Nothing could make him say that he couldn't see anything. His entire CA staff stared and stared but no one saw anything, but they all joined the CEO in exclaiming, "Oh! Those seller stealing rules are GREAT," and they advised him to implement those rules. Then the CEO himself came with his most crooked lawyer friends, and the distruptors each raised an arm as if they were holding something. They said, "These are the new seller stealing rules, here's the end of Paypal, and this is the END of returns," naming each new idea. If Your Imperial Majesty CEO will condescend to take Voyager offsite," said the disruptors, "we will help you on with your new Cassini". "How well Your Majesty CEO's new regulations/rules are. Aren't they theftacular!" He heard on all sides, "That extra %4, so perfect! Those moronic CS agents, so suitable! It is a magnificent platform." So off went the CEO to all the news sites. Everyone in the media and all the websites said, "Oh, how fine are the CEO's new disruptions! Don't they fit eBay to perfection? And see his big stock move!" Nobody would confess that he couldn't see any positive changes or increases in value, for that would prove him either unfit for his position, or a fool. No eBay changes the CEO made was ever such a success. "But he hasn't done one d@mn positive thing," all the sellers said. "Imagine!" said the rest of the internet ... it takes actual sellers to finally see the truth. Seller protection is something eBay desperately needs if they wish to retain existing sellers and possibly lure past sellers back. However from past experience, eBay never fulfills their promises when it comes to treating sellers like a trading partner. I seriously doubt this is actually going to happen. eBay has a horrible track record of saying one thing just for good PR - then not doing it or falling extremely short on their promises. Who knows, it may happen for the China sellers that have pretty much taken over eBay, but the western market sellers can expect to be burned over and over again. What eBay needs to do is take seller abuse complaints seriously. They need to handle abuse from scammer buyers in a way that truly protects the sellers. If this means blocking buyers, then do it. If this means requiring proof of an issue or problem, do it. If this means stop punishing sellers for buyer fraud, then DO IT. It has been clear how eBay looks at business life a fiscal quarter at a time. They do what is needed to look for for 3 months. eBay fails miserably at looking at the overall picture. Someone with a true vision for the future needs to take over eBay and run it right. The investors surely should understand this, but they are not speaking with their portfolios. They are letting the captain run the ship into an iceberg regardless of the short term corrections that ultimately do nothing. It is hard to have a business like eBay without actual active sellers. I believe eBay will start backing the sellers with protection as much as I believe in the figures eBay provides for the number of sellers they have. Having a selling account is not being a seller - sellers are still leaving in droves as the ship sinks. I'm sure that nothing will change for the betterment of U.S. sellers.